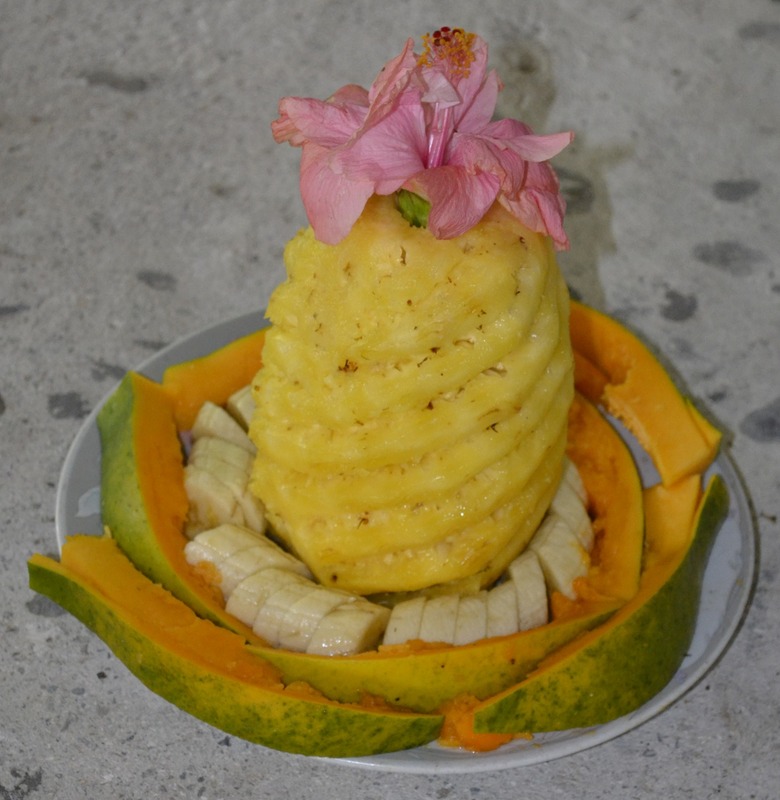 Pineapple fruit salad – nothing to do with Ormita, just a nice photo from Camp Samoa! I’ve learned a lot of lessons from completing an investigation into Daniel Evans and Ormita. Here are some of them along with winners and losers out of the saga, all from my perspective of course. Writing The Ormita Report was a big job but a lot simpler than actually undertaking the investigation and working through the mire of human misery that Daniel had caused around the globe. I intended to write a minimum of 10,000 words. It ended up a 60,000 word tome. The reason was that as I commenced the writing a lot more information came to hand. I either had to rewrite it or keep adding in chapters and subheadings. With a deadline, I chose to include everything. If I started it all again, I could write it in 10,000 words but it would have 50,000 words of evidence and appendixes! The human dynamics with Daniel can be stressful. I determined that it simply didn’t matter what he said or did, I knew what I was doing, and what I was attempting to achieve. Taking a hit from an angry man out to destroy my reputation or wild phone calls or anything else was just par for the course and to be expected. While not nice, I paid the price but got the job done! The change in my motives half way through the investigation (from simply wanting to get the truth out there – to actively stopping the rot) was a major decision. Mid January 2014 was the turning point in which my efforts to bring the Ormita fraud to a head started in earnest. Others always wanted to use the report to bring Daniel down, and to stop the con job, and I knew that The Ormita Report would help to do that but determining to stop it all meant a lot more thinking, strategising, collaboration and work. I lost support from some who thought I was either crazy or doing the wrong thing. Some of that hurt; many stood off and didn’t want to get involved; quite a few helped and there were a very very helpful people, brave and dedicated to getting the truth out there and stopping the conman. It was a mixed bag that helped show me who was who and what their actual characters were. I found a few skeletons in the closet. The software provider is one. He is still claiming that he was an innocent victim when in fact he was a clear JV partner. The roles of City of London and Z/Yen the dodgy report writer is damning. Not so much because of what they did, but what they didn’t do. That others have openly endorsed the Ormita fraud and put their reputations on the line really has me scratching my head! The ease at which it has been possible for a conman to ‘create’ a supposedly multi-billion-dollar company with essentially web-based materials that are believed is astounding. The poor due diligence undertaken by business people around the globe who got sucked in on the scam is also very revealing. The barter industry as a whole too has things it doesn’t want talked about. The worst skeletons however relate to personal relationships with Daniel that got messed up, dare I say it confused somewhat? Keeping the bedroom and business separate is good grandmotherly advice. The psychiatric issue is a difficult one. I’m not a psychiatrist, but Daniel REALLY needs help, or he’ll lurch from one disaster in business to another. It’s a lot more than his self-confessed, “Well I’m not good with people” acknowledgement. It is deep stuff that he needs to come to terms with before he can ever live a life without messing others’ up. And that leads to the sadest part that many people had their hands burned. Country after country; friend after associate after partner after employee all report the human suffering by following the king poncho in the Ormita fraud. There are a lot of losers. With the disconnection of his latest software, and Ormita licensees around the gobe pulling out and reassessing their options, Daniel has pretty much lost the lot. I will also ensure that if he ever pops up in the barter industry again, that I will sit on his case the instant there is any deceipt or dishonesty in the winds. He’s got few credible options left in the industry. There are a couple of clear winners in the sad story. Tyler Seamans has picked up on aspects of The Ormita Report with his blog barternewsweekly.com. He’s only playing with his blog, but people are looking at it as a result of Ormita. IRTA has come out of it looking pretty good. Their promotion of The Ormita Report to the industry following was a smart move, so that even though I initiated it and wrote it, some people do actually associate them with the report. Lucky for IRTA to get credit, for they’ve taken quite a few hits in the past! The industry has gained a lot, having the pimple on its bum removed. Lastly, though, in my mind, I’ve won. I bothered to care; to understand the man; to write the first report to shareholders; to write the initial WARNING Ozone/Ormita etc and then to conceive of the investigation and report. I committed to it and delivered. I worked with people from many countries at all hours of the day and night, with technology, creating the brand, the resources and the approach that buried the fraud. The Ormita thing is all done and dusted for me.